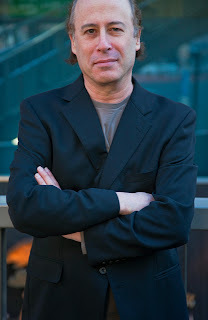 Barry Lancet wrote this article for "The Thrill Begins" in October of last year. 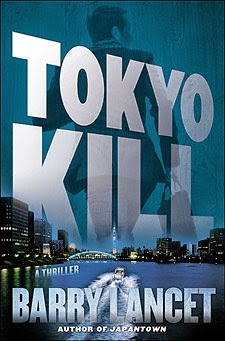 Since then, he's published his second novel in the Jim Brodie series, TOKYO KILL. 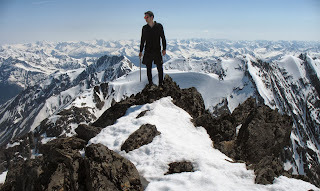 It's my delight to repost his popular blog, "What It Takes." It took me ages to write JAPANTOWN. So many times I could have stopped. So many times friends and family expected me to stop. Occasionally someone advised me to stop. But I persisted and it paid off—Simon & Schuster published it, J. J. Abrams optioned it, and foreign rights sales are rising nicely. I smiled and said thank you. When I had a free moment, I thought about the comment. Yes, I’ve been lucky. And I’m grateful and humbled. But it took so much more than luck. The barriers I faced may be one for the record books. Let’s start with this: I’ve lived in Tokyo for more than twenty-five years. When I began to write, my day job tied me down sixty to seventy hours a week, Monday through Saturday, without counting the one-hour commute each way. For another, I came home exhausted six nights a week. Sometimes I brought work back with me. My office routine was so demanding that early-morning or late-night writing sessions were not options. Family time filled in the few hours of unscheduled time that remained. It soon became apparent that I had no time whatsoever to write other than the two days a week I ate lunch alone. But two hours a week will not get a novel written. I had to find time so I poured over my schedule. There was none to spare. Eventually, it dawned on me that I would have to make time. So I limited my lunch outings with friends and colleges to two a week and then one. That gave me four lunches to write. Occasionally I was forced to drop this back to three, but for the most part it held. Time gained: two hours a week. I became more efficient at work. I cut out all unnecessary “water cooler time.” I delegated some lesser chores to other in-house staff and to competent freelancers. Yes, it took extra time to train them at first, so in the initial stages I actually lost time. But slowly, I chipped away at my office workload. I began to finish earlier some nights, cutting off as much as an hour, then ninety minutes. Eventually, I was able to consistently save sixty to ninety minutes, six days a week. Time gained: six to nine hours a week. I cut back on late-night outings with friends and colleagues. I said no when I wanted to say yes. I set strict time limits for myself when setting up work-related meetings. No more leisurely three-hour huddles when one would do. This belt-tightening freed up another three or four hours a week. Yet it still wasn’t enough. All the while I was writing. My story grew. Characters were born. Chapters started to take shape. But I desperately needed more time. I poured over my schedule once more. Every minute of the day was accounted for. Then my eyes fell on the line that said “daily commute.” This took an hour each way. Fifteen minutes on foot, then forty-five minutes on the train—standing shoulder to shoulder squeezed in with all the other commuters. I spent the time reading. Was it possible to turn the rush-hour crush into working time? I decided to give it shot. So the first week I packed my laptop. When a seat opened up halfway through the commute two or three days a week, I whipped out my computer, fired it up, opened my files, found my place, then had ten minutes to work before the train pulled into the station and I had to reverse the process. Lugging the portable around every day for an additional twenty or thirty minutes a week of writing time was not a solution. I was stymied. Then I thought, clipboard. I printed out some manuscript pages and affixed them to a clipboard bought for my newest foray. As soon as I was on the train, I pulled out the board and began editing, rewriting, and adding new passages. The train swayed. I held the board with my left hand, the commuter strap with my right. More than once I bumped into a neighbor when I released the strap to write something and the train hit a rough patch. One time the clipboard flew into the lap of the passenger seated in front of me, startling him and most likely making his first cup of caffeine at the office redundant. This was going to require a coordinated effort on many levels. I dug in. Day after day, I wrote. Each night I reviewed my efforts and dutifully discarded them. They were all unusable. I couldn’t find a rhythm. I couldn’t concentrate with the crush, the noise, the jerking motion of the train. Not only wasn’t I producing but I’d also lost my commute reading time, which I’d always enjoyed. But I persisted. Eventually, I learned how to stand with the clipboard in a balanced manner, with both hands free. I learned to sway with the train. I learned where the rough patches of track were. Toward the end of the third week I wrote one new passage that read passably well that evening and again the next morning. By the following week I finished two acceptable rewrites. The learning curve took two months to complete, after which I was able to produce work every single day. I’d found a mental and physical balance and learned to tune out all exterior factors. My overall production soared. With the extra lunch hours, the saved meeting times, the shorter daily workloads, and my commuter output, JAPANTOWN began to take shape. I finished a full first draft, then a second. Then a third. Then a complete overhaul because I grew dissatisfied with the pacing. Then one day it was done. Because I’d found time where before I’d seen none. Yes, I’ve been lucky. But it takes more. 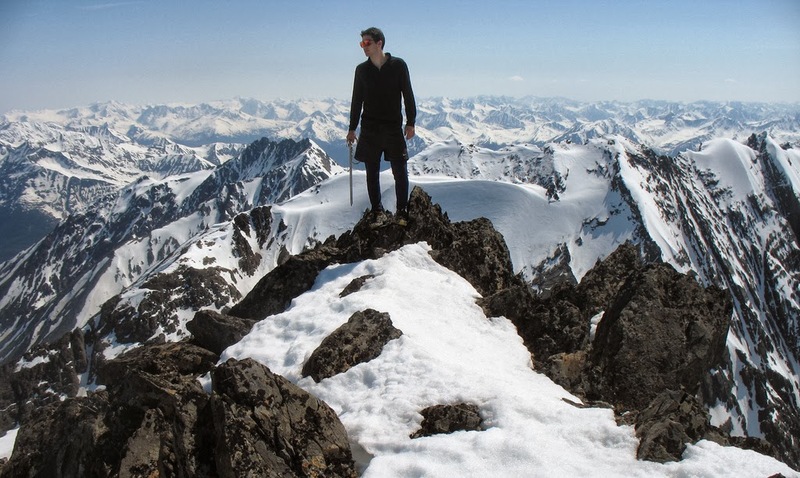 What it takes is the desire to unearth what you’re lacking—whether it’s time, confidence, better skills, more knowledge, a combination of these, or something else entirely. So identify what you need, track it down, then plow ahead without looking back. San Francisco antique dealer Jim Brodie recently inherited a stake in his father's Tokyo-based private investigation firm, which means the single father of six-year-old Jenny is living a bi-coastal life, traveling to Japan to acquire art and artifacts for his store and consulting on Brodie Security's caseload at home and abroad. 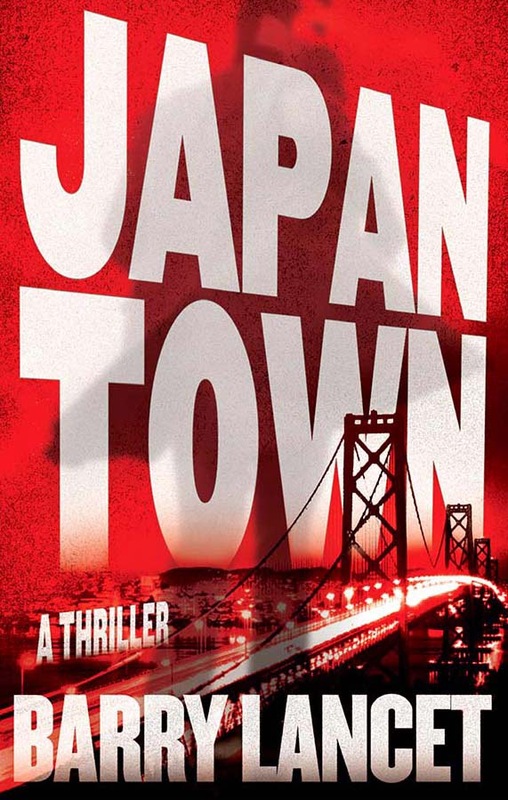 One night, an entire family is gunned down in San Francisco's bustling Japantown neighborhood, and Brodie is called on by the SFPD to decipher the lone clue left at the crime scene: a single Japanese character printed on a slip of paper, drenched in blood. Brodie can't read the clue either. But he may have seen it before—at the scene of his wife's death in a house fire four years ago. 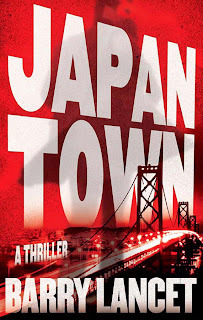 With his array of Asian connections and fluency in Japanese, Brodie sets out to solve a seemingly perfect crime and at the same time learn whether his wife's tragic death was more than just an accident. What he unearths shocks him. Wishing to turn back but knowing the only way is forward, he focuses on the deadly secret that threatens not only his life—but also the lives of his entire circle of family and friends. His unique position gave him access to many inner circles in cultural, business, and traditional fields most outsiders are never granted. Early in his tenure in the Japanese capital, he was hauled in by the police for a non-criminal infraction and interrogated for three hours, one of the most heated psychological encounters he had faced in Japan to that point. The run-in fascinated him and sparked the idea for a thriller based on his growing number of unusual experiences in Japan. He is now at work on his next book featuring Jim Brodie. JAPANTOWN, his debut novel, has been optioned by J. J. Abrams’ Bad Robot Productions, in conjunction with Warner Bros. For more information, please visit http://barrylancet.com/. Now this was inspiring. I had no idea the Big B had to go through all that. I'm so glad you did, Barry.